The triathlon consists of 20 lengths of Wotton Pool, followed by a 21km bike ride and concludes with a 4km run around the town. This event is aimed at novices, and is designed to be welcoming for those who are keen to undertake their first triathlon. You may not have considered a triathlon before, or perhaps you’ve always wanted to give one a go. If it’s been a while since you’ve run/cycled/swum, or you’re not sure how you’ll jump on your bike after a splash up and down Wotton Pool, don’t let that put you off. 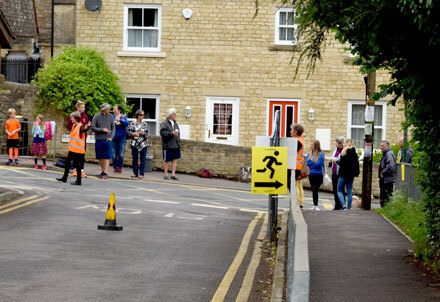 The organisers of Wotton Triathlon set up some familiarisation sessions for the bike route and the all-important transition to help you feel prepared on the day. With the pool opening on 14 April for the summer, you’ve got lots of time to start practicing. * Please note, routes are still a little provisional at the moment. But we'll let you know if they change! When you arrive you will need to check in with the registration desk 45 minutes before your wave starts. It is located at Bluecoat School. Once checked in, you can secure your bike ready for transition and proceed up the road to Wotton Swimming Pool to attend the race briefing and start the race. Don't forget: bring your helmet, or we wont let you start! This year the transitions and event infrastructure will be based around the Bluecoat School in Wotton. This is where you should head to on the morning of the race, and there will be refreshements available for competators and spectators. Regrettably there isn't any parking at the school. So we ask that visiting athletes find a space in the town before heading to the school to drop off bikes. *Entry is free, so we ask you to raise money in lieu of an entry fee. The money raised goes to the community open air swimming pool in Wotton, which is run by volunteers and relies on the generosity of the community to keep it open. Please use the link below to set up your sponsorship page. British Triathlon allows entries at Junior level from 17, with parental consent. Therefore, if you are 17 on the day of the event you can enter, but we will need a parent’s consent. Unfortunately we cannot accept entrants under 15 years old. If you are aged between 15 and 17, you can be part of a relay team, but for Wotton Triathlon you cannot do the cycle leg. You will need written parental consent, which includes specific detail of the participation proposed. Wotton Triathlon wouldn’t be possible if it weren’t for the hard work of our volunteers, and the support of our lovely sponsors. Huge thanks to all of them for their help in getting the event to happen. 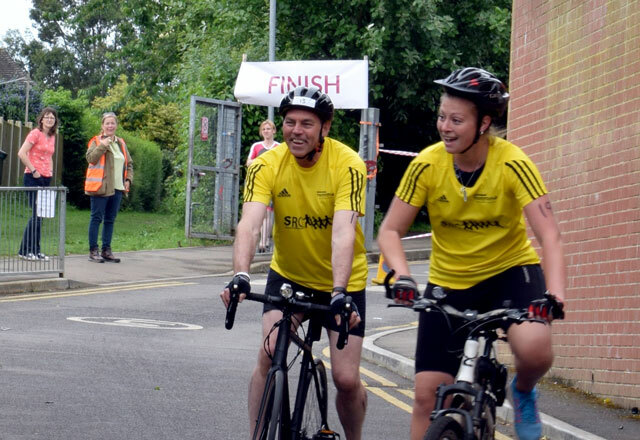 If you’d like to get involved with Wotton Triathlon as a volunteer, please get in touch here. Novices are not only welcomed, they're encouraged!